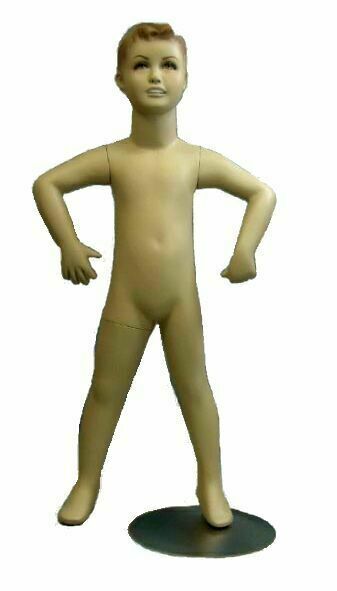 Fiberglass kid mannequin with makeup and molded hair. Detachable arms make them easy to dress. Dimensions: Height - 40"; Chest - 21"; Waist - 21"; Hip - 22" Color: fleshtone.